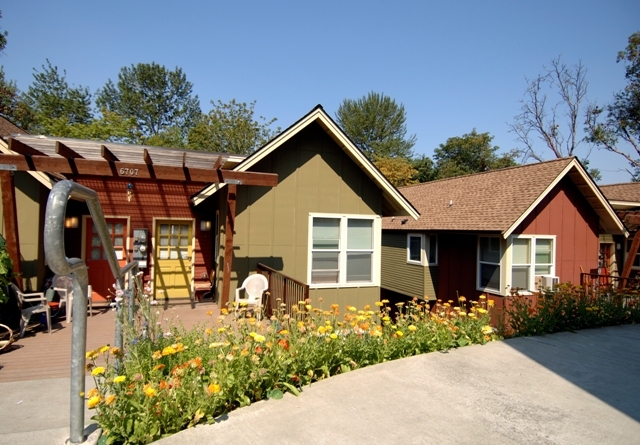 This property does not offer direct subsidy for the units but offers affordable rents through the Washington State Housing Tax Credit Program. The rent ranges are based on availability of the units and your annual income level, but the units are not subsidized. We gladly accept a Section 8 voucher in our non-subsidized units. Please call for details and eligibility. Here at Croft we cater to providing a community living environment, community facilities and other services for households earning not more than fifty percent (50%) of the Seattle Area's Median Income as determined by the United States Department of Housing and Urban Development. Community Room for tenant meetings, trainings, workshops, etc.. This room is also available for rent to tenants with a refundable deposit. This property does not offer direct subsidy for the units but offers affordable rents through the Washington State Housing Tax Credit Program. You will pay the rent between the lowest and highest rents listed below. We can accept a Section 8 voucher in our non-subsidized units. Please call for details and eligibility.